For first-timers, the process of buying a home can be as intimidating as it is exciting. We interviewed experts and dug into the details to outline what you can expect from the moment you start looking right up to closing day. Renting isn’t “throwing money away,” and homeownership isn’t a guarantee of future wealth. Each has its own pros and cons. Renting offers more flexibility and fewer upfront costs, plus the convenience of calling your landlord when something breaks — but no tax breaks or equity. 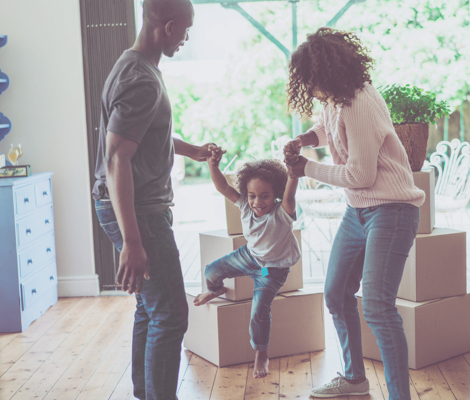 Homeownership offers more stability (since there’s no landlord to evict you or raise the rent), freedom to customize your space, and the opportunity to build equity long term but reduces your flexibility to relocate easily. 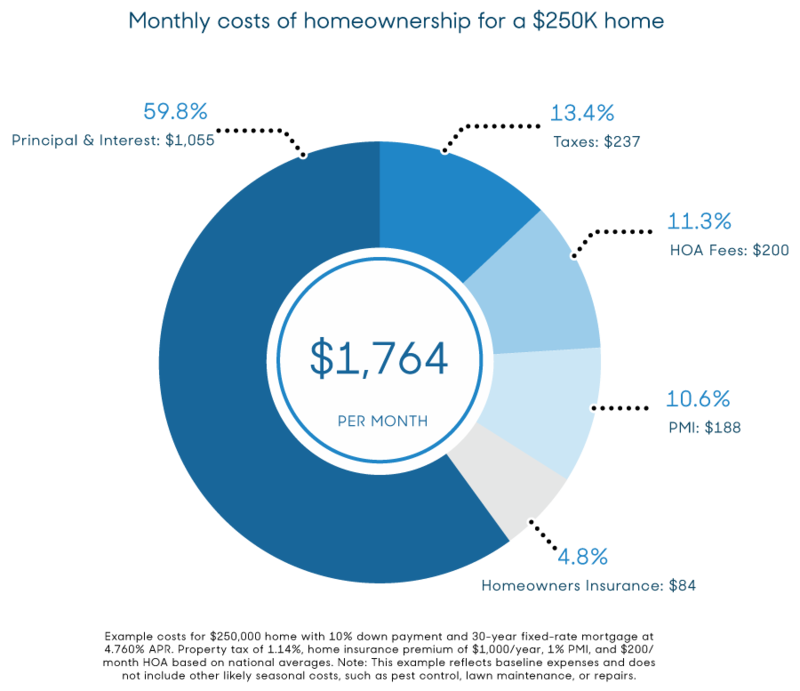 Owning a home also puts you on the hook for additional expenses, like property taxes, homeowners insurance (which costs more than renters insurance), repairs, and maintenance costs. These expenses can change, which makes predicting the total monthly cost of homeownership more difficult. Whether it’s better to rent or buy depends on many factors both personal (like your job stability) and environmental (like property values in your area). The New York Times’ rent vs. buy calculator can give you an idea of the price at which buying becomes the better deal in your area. A 30-year, fixed-rate mortgage is the most popular loan type among homebuyers because it offers stable, predictable payments for the long haul. When deciding if you want to buy (and how much you can spend), ask yourself: How likely are you to stay in your current job, at your current salary? If your household is dual-income, would you be able to make mortgage payments on a single income? Buying a home that’s priced at the upper end of your budget could mean living paycheck to paycheck or facing foreclosure if your circumstances change later on. As with any type of financing, a healthy credit score signals to lenders that you’re a responsible borrower. That means a higher likelihood of approval and more attractive loan terms, like a lower interest rate. While you don’t need a perfect credit score to get approved, improving your score before you start shopping could lower your monthly mortgage payment and save thousands over the life of your loan. 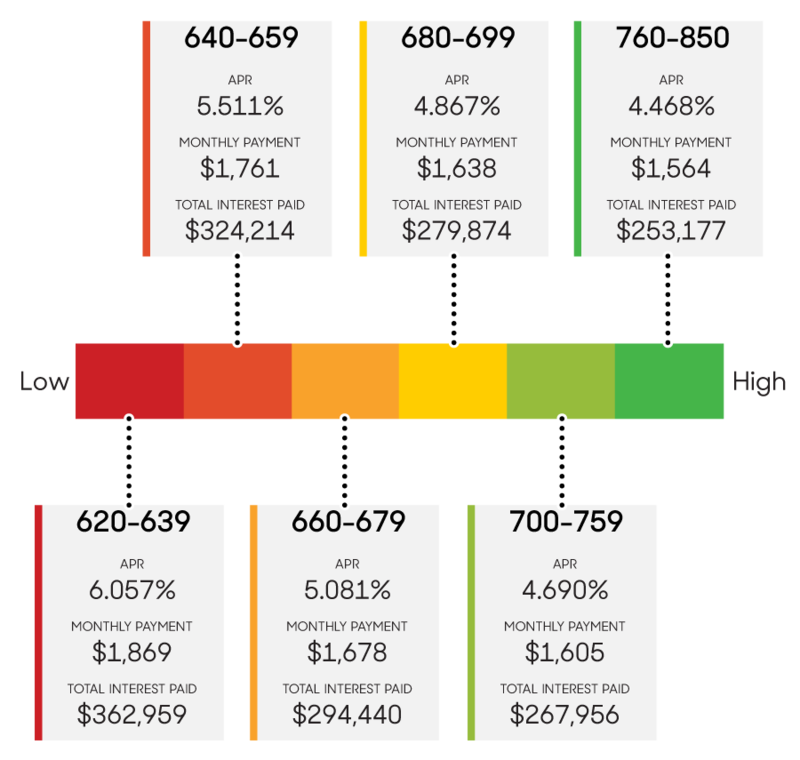 In the example below, raising your FICO score from the 620 - 639 range to 640 to 659 would save $108 per month — and nearly $40,000 in interest over the 30-year term. Data generated with the MyFICO Loan Savings Calculator for a $309,800 home (the median sales price in the U.S. at time of writing). Figures assume 100% financing. “Monthly payment” refers to principal and interest (P&I). Even if you can make a significant down payment, a mortgage is a major investment, since hundreds of thousands of dollars and decades of interest accrual are on the line. Small differences in interest rates — even fractions of a percentage point — can have a big impact on the total cost of financing your home. That’s why it’s important to shop around and compare quotes to find the best mortgage rates. When you’re deciding whether to buy now or continue saving, you’ll also want to consider projections for future interest rates. If rates are likely to be higher next year, and you’re ready to buy, starting the process sooner could mean long-term savings. Fluctuations in the real estate market can affect home prices. Is your city considered a buyer’s market or a seller’s market? Have property values in your area decreased, increased, or held steady in recent years? If you’re having trouble finding homes in your price range, it may be best to wait and continue saving — or to expand your search. If there are any issues with your credit, you’ll want to find out before lenders do — and address them before you start shopping. Many free tools allow you to access your credit score, but few give you scores from Equifax, Experian, and TransUnion. Check out our review of the best credit report services to find one that does, and use it to get a comprehensive picture of your financial health. If there are any errors, contact the credit bureau in question to have them removed. If your score needs some work, don’t get discouraged; start with what you can control. When you get pre-approved, a mortgage lender will set an upper limit for how much it’s willing to loan you. This number should not be confused with your actual budget. “Lenders approve you for a mortgage based on your gross income, and they don't take your full budget into account in their calculations,” Kearns says. “Qualifying for a $400,000 loan doesn't mean you can afford the monthly payments that come with that amount.” She cautions buyers to factor in “the hidden costs of homeownership,” such as property taxes, HOA fees, maintenance, and repairs. Consider using personal finance software to find out how much of your net pay (that’s your gross pay minus deductions for taxes, health insurance, 401(k), and the like) you can dedicate to housing costs. You may also find a home affordability calculator useful for estimating how much you can afford. For most people, saving for a down payment is one of the biggest hurdles to becoming a homeowner. Saving up the recommended 20 percent has a number of benefits: it allows you to bypass private mortgage insurance (PMI), it can lower your interest rate, and it decreases the likelihood that you’ll owe more than your house is worth if a downturn in values occurs. But putting 20 percent down isn’t the only way. You’ll also need to balance the goal of making a large down payment with maintaining some liquid cash on hand for emergencies. If putting less than 20 percent down allows you to buy a home sooner and avoid draining your bank account, a low-down payment mortgage is worth considering. First-time buyers have access to a variety of homebuyer assistance programs. These can take the form of loans or grants. Eligibility requirements vary; some are location- or job-specific, while others help homebuyers below a certain income threshold. Additional programs may be available at the local level. Check out HUD’s home buying programs by state — and check for options in your city, too. Applying for a mortgage means opening your financial history up to scrutiny. Start gathering the necessary documents now, and you’ll save time during the approval process. Each type of mortgage comes with its own set of pros and cons. There are government-insured home loans backed by the FHA, USDA, and VA; adjustable-rate, fixed-rate, and interest-only conventional mortgages; and others. The mortgage product you choose will determine your interest rate, minimum down payment, closing costs, loan term, and borrowing requirements. The Consumer Financial Protection Bureau’s overview of loan choices is a good starting point for your research. Understanding what’s out there will help you compare options when you meet with a mortgage broker or a lender. This is the big one. Pre-approval is what separates serious buyers from casual window shoppers. It allows you to move quickly when you find a home you love — and signals to sellers that you’re both committed and capable of buying, which makes your offer more compelling. Dan Green, founder of real estate blog Growella, recommends taking the plunge ASAP. Note that pre-approval and pre-qualification aren’t the same thing. A pre-qualification gives you an idea of what you might qualify for based on an estimate of your income and credit score. It holds no weight with sellers and doesn’t involve vetting your credit, income, or employment. A pre-approval, on the other hand, gives you a concrete idea of how much you can borrow when the time comes, because the lender will verify the information you share. To get pre-approved, you’ll have to submit a mortgage application, which will include your social security number and information about your assets and liabilities, employment information, credit, and more. Don’t rush this step. Taking the time to compare multiple lenders’ rates — getting pre-approved with a few of the best, or working with a mortgage broker who can shop multiple lenders on your behalf — will help you find the best mortgage lender for you. An older house in a desirable area often costs more than a brand-new house in a less prime spot. Why? Location is one of the most significant factors in determining fair market value. Your home’s location can impact how easy it is to sell if you need to move — and whether or not it will hold its value over time. While you can change your home’s interior and layout, you have only one option if you dislike the location: moving. Pat Vosburgh, a Realtor with NextHome in Saint Petersburg, Florida, recommends looking past surface imperfections if you find a home that checks the most important boxes. Remember the part about staying put long enough to recoup closing costs? Push yourself to think long-term. For example, a short commute might be a priority, but your job could change. School districts might not matter much if you’re child-free now, but they will if you plan to start a family. “Do you feel sure that you’ll be [in your new home] for at least five years? If you’re at all on the fence, consider renting nearby first,” says James, the attorney. A fireplace. A swimming pool. Four-plus bedrooms and a walk-in closet. 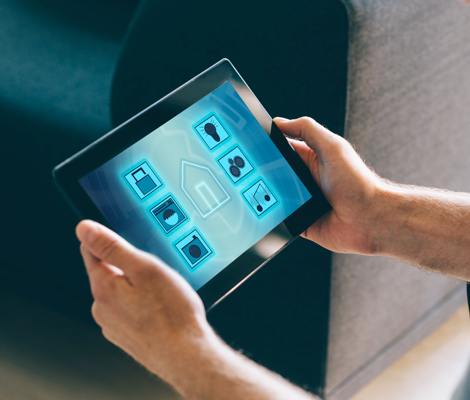 Most homebuyers have a long wishlist of home features, but the longer the list, the tougher it will be to find a property that checks all the boxes. “Start attending open houses sooner rather than later,” says Evan Roberts, a Realtor with Dependable Homebuyers in Washington, D.C. This will give you an idea of what features matter most to you — which is especially important if you’re buying with someone else, since their priorities might differ from yours, he adds. Separating “must-haves” from “nice-to-haves” can help you narrow down your choices. Your agent can use this information to filter listings for you and help you determine what’s reasonable for your price range. Basic information about listings is readily available online,; so you may be tempted to avoid working with a real estate agent altogether. But buying a home is a complicated process, and inexperience can get first-time buyers into trouble. Doing your own research online can be helpful, but real estate websites don’t give a complete picture of what’s available in a neighborhood. Through his or her professional network, a well-connected agent might know about properties before they’re listed, which gives you the opportunity to tour or make an offer quickly (a strong advantage in a competitive market). No one wants to overpay. But if you “lowball” the seller, you risk losing out on a home you’re interested in. An experienced agent will leverage his or her knowledge of the market to help you negotiate — both the asking price and concessions like repairs or closing cost assistance — and craft an offer that will be taken seriously. There’s a lot of paperwork involved in buying a house and many opportunities for things to go awry. Your agent can help you corral the many moving parts to ensure you close on schedule. The best real estate agents are well-connected (and well-regarded) in the local real estate community. Your agent should be able to recommend trustworthy lenders, attorneys, contractors, and more. Do you need your own agent? You aren’t required to have a buyer’s agent; the same agent can assist both the buyer and seller in a home sale. But is that the best approach? Not according to Shelton Wilder, a real estate agent with Douglas Elliman Real Estate in Los Angeles. If you’re planning to work with a dedicated agent, Di Bari recommends involving him or her early on. When you’re ready to find an agent, friends and family members may be able to help. Ask which agent(s) they’ve worked with and what their experience was like. You can also use a referral service or search online for specialists in your city. Whichever avenue you choose, take the time to find an agent you gel with. Agents may also opt to become a Realtor® by joining the National Association of REALTORS® and agreeing to follow the NAR’s Code of Ethics. If they want to specialize in a particular type of real estate, Realtors® can pursue designations and certifications, such as the Accredited Buyer’s Representative (ABR), by taking extra courses. Certification is only one piece of the puzzle when you’re weighing an agent’s expertise. It’s wise to consider agents who have experience helping buyers in your situation. By this stage, you’ve done your research. You have a list of agents licensed in your state, ideally a few referrals from people you trust, and all of them seem experienced. How do you choose one? By asking the right questions. It’s in your best interest to meet with multiple candidates before you choose — and choose carefully. Ask them a lot of questions, both to gauge their qualifications and to find someone you trust and will enjoy working with. Your agent can have a big impact on how smoothly your home buying experience goes, so take your time choosing one you trust. “Avoid raiding your emergency and retirement savings [for a down payment]. 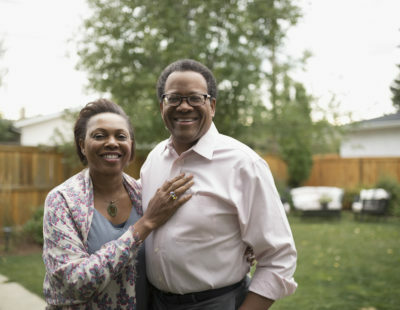 It’s important to have at least six months’ worth of living expenses saved in an emergency fund for unexpected events that impact your income, such as a death, divorce, job loss, major medical issue, or other financial hardship. Likewise, borrowing against your 401(k) or other retirement accounts isn’t a great idea because you’re shortchanging your retirement. What do you wish you’d known before buying your first home? What was the most difficult part of the home buying process? What advice would you give someone else buying their first home? By this point, you’re a serious buyer. You’ve been pre-approved, so you know how much you can afford. You’ve zeroed in on a few neighborhoods of interest. You’ve found an agent (if you’re working with one). All you need now is the right house. Right? Almost. Once you make an offer, you’ll be writing several sizable checks, so it’s a good idea to get the funds lined up before you need them. This is particularly important if you’re using a down payment gift, because large, last-minute deposits are a red flag to lenders. Get your funds squared away a few weeks before you plan to make an offer, in an account that’s in your name. If you’re lucky enough to have help from friends or family, make sure you have a gift letter to prove it’s not a loan. So you’ve found a house you like, in a great location, that checks off most of your must-haves. Congratulations! Now it’s time to submit your offer. 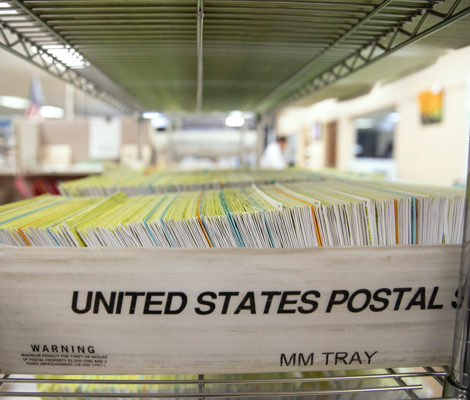 The process can be complex and can vary by state, but here’s an overview of what you can expect. If you haven’t sought professional help yet, do so before submitting an offer. While basic RPAs are available online, using one that isn’t tailored to your situation could become a costly mistake — and a poorly constructed offer can kill a sale before it starts. Your real estate agent can help you draft an effective offer letter that both appeals to the seller (which could be the difference between acceptance and rejection) and checks all the legal boxes in your state. But if you run into complications beyond your agent’s scope, hiring a real estate attorney would be the next step. Note: Some states require a real estate attorney’s involvement at closing or at another point in the process. Some require an attorney to be physically present, while others stipulate that an attorney must draft closing documents. Ask your agent about laws in your state — and know that you can choose to involve a real estate attorney at any part of the home buying process, whether or not it’s required where you live. Earnest money, which proves you’re a serious buyer — and compensates the seller if the deal falls through. This money goes into an account that belongs to neither the buyer nor the seller (escrow or trust) once your offer is accepted. If you successfully buy the home, your earnest money is applied toward your down payment. But if you back out for any reason other than a failed contingency, the seller will likely get to keep it. Various closing costs, which include fees for inspection and appraisal; administrative costs related to lending, like a loan origination fee; transfer taxes; and more. Average closing costs vary by state. Some may be negotiable. Contingencies are important to get right because they specify what situations would give you an out — the opportunity to walk away from the sale without losing your earnest money. The most common contingencies involve financing (getting approved for a mortgage) and inspection (resolving major issues found during a professional home inspection), but you might include additional contingencies for appraisal, clear title, closing date, etc. You’ll have more power to add contingencies — and to negotiate in general — in a buyer’s market. But in any market, including too many caveats can make your offer less attractive to the seller. Once you’ve submitted your offer, the seller can do one of three things. Remember, a residential purchase agreement is legally binding; by submitting it, you agree to everything in it. If you choose to back out of the deal for a reason other than what’s stated as a contingency, the seller keeps your earnest money (and could have legal grounds to sue you). That’s why it’s so important to make sure you understand the terms before you make an offer. If you’re buying in a hot market, you’ll likely have competition from other buyers. Offers that involve more money — more earnest money, larger down payments, and even offers above asking price — are more attractive to sellers, because they’re seen as less likely to fall through. This step is twofold: Inspection, which is for your benefit, and appraisal, which is mainly for your lender’s. The goal of an appraisal is to estimate a home’s value. Most lenders require an appraisal before finalizing your loan because a home that sells for more than it’s worth is more likely to go “underwater” if the market falls, which could cost the lender money. Even if you’re willing to pay an asking price above market value, your lender may refuse to loan you more than the home’s appraised value. Carefully weigh the circumstances before agreeing to buy a property “as-is.” While you may be tempted to make major concessions for a house you love, major defects can impact your ability to get homeowners insurance — and increase your insurance premiums. Before closing, the lender will thoroughly investigate your finances one more time during a process called underwriting. The lender will check all your financial documents, proof of homeowners insurance, and details about the home against loan eligibility requirements and issue a final determination: approved, conditionally approved, or denied. 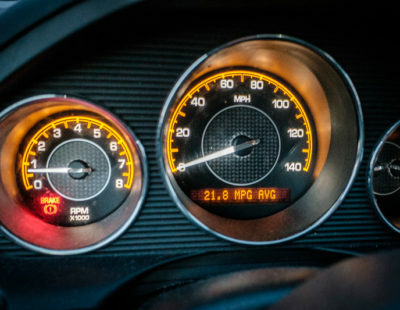 If your application is approved, the lender will mark your application “clear to close.” If there are minor issues with your application, your conditional approval will depend on your ability to rectify the issues — to provide additional documents, for example — so be ready to respond quickly to keep the process moving. If the result is denied, find out why, then work with your lender to explore possible solutions. If the home appraised lower than the asking price, for example, you could request another appraisal. If there were issues with your credit or income, you’ll have to decide whether to apply with a different lender or revisit home buying later, after you’ve had a chance to improve those areas. Should you decide to walk away, your financing contingency should allow you to do so without forfeiting your earnest money. Insurance might be the last thing on your mind as closing day approaches — but don’t wait until the last minute to compare your options. Your lender will ask for proof of homeowners insurance coverage before your loan can be finalized, and it’s crucial that you review potential policies carefully for both cost and coverage. Request quotes from multiple providers, and give some thought to endorsements, or additional coverage, you’d like to add to your policy, such as coverage for detached structures (like a shed) or coverage for big-ticket items (like heirlooms or jewelry). Three business days before closing, you’ll receive a closing disclosure, which will specify the final numbers, from your interest rate to closing costs. Review it carefully, because it’s your last chance to make corrections or changes before the purchase is finalized. Closing procedures vary state to state — some allow the seller and buyer to close at separate appointments, while others require you to meet; some require a lawyer to be present; etc. — but regardless, you can look forward to reading and signing a lot of paperwork with your agent and the loan officer. Take your time, and don’t be afraid to ask questions; every document you’ll sign at closing is legally binding. Once everything has been signed by both you and the seller, your mortgage will be funded, the title will be transferred, and you’ll get the keys to your new place. Congratulations, you’re officially a homeowner! The best moving companies boast strong customer service (with few complaints!) and will help you move anywhere in the U.S. We researched 28 nationwide providers to find standout options you’d trust with your fine china. Many of the first-time buyers we polled said setting up utilities was a hassle. 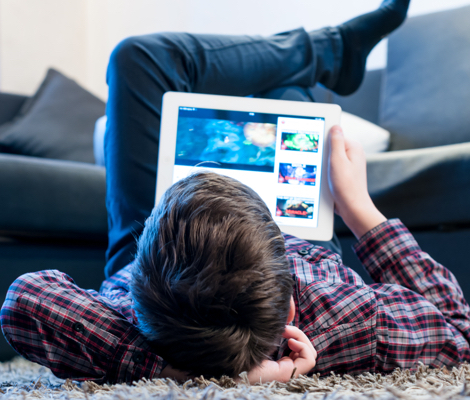 We’ve researched the best high speed internet providers and the best TV providers so you can compare top companies quickly — and get connected with minimal stress. Homeowners insurance protects against theft and damage, but it doesn’t cover wear and tear or appliance failure. That’s where the best home warranty companies come in. For extra peace of mind, check out our review of the best home security companies. 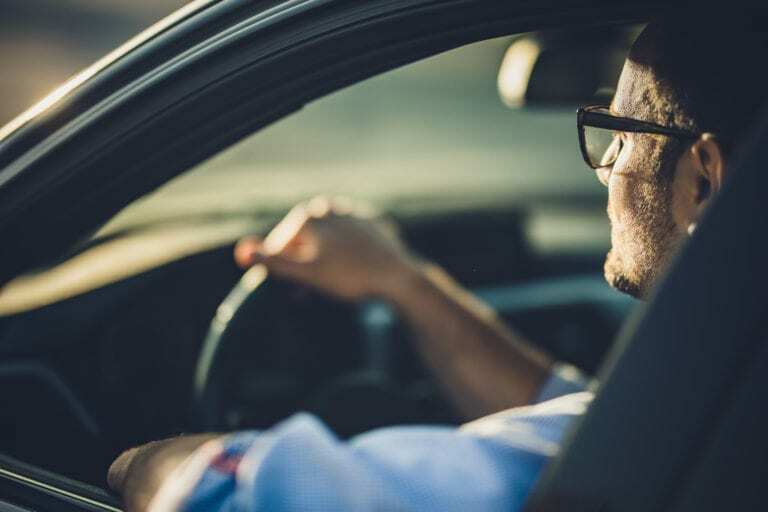 Did you know moving to a different ZIP code can affect your auto insurance premium? Request quotes from the best auto insurance companies to compare rates in your new area. Need something for your new place? From mattresses to dishwashers, we’ve done the research so you don’t have to. An adjustable-rate mortgage (ARM) is a loan that has a fixed interest rate for an initial time period (3, 5, 7, or 10 years). After that time frame ends, the loan resets to a variable rate that fluctuates (unlike fixed-rate mortgages), which can cause your total monthly payment to increase or decrease. ARMs typically have a lower introductory interest rate than fixed-rate loans. What programs are available for first-time homebuyers? Homebuyer assistance programs are available at both national and state levels. National options include government-backed loans through the USDA, FHA, and VA, which allow smaller or no down payments and have looser credit score requirements. For local options, search HUD’s directory of home buying programs by state. The difference between a buyer’s and a seller’s market comes down to supply and demand — and whether the buyer or the seller has the advantage in negotiations. In a buyer’s market, there are more homes available than buyers. This makes selling property more difficult, which means more bargaining power for buyers and lower prices. Conversely, in a seller’s market, there are more buyers than available homes, which means more competition between buyers and increased likelihood of bidding wars, which can drive home prices up. In pre-qualification, lenders estimate how much they would be willing to lend you based on general information you provide. Because the lender does not verify your details, this estimate is for informational purposes only. Pre-approval goes a step further, with the lender requesting your credit score, contacting your employer, and more to assess how much home you can afford. This process takes longer, requires more documentation, and will temporarily lower your credit score due to the hard inquiry required to check your records — but it allows the lender to tell you how much, specifically, you are approved for. In a seller’s market, pre-approval carries more weight than pre-qualification because it increases the likelihood that you’ll be able to secure financing. What’s the difference between a Realtor and a real estate agent? A real estate agent is someone licensed to assist in buying or selling property. While licensing requirements vary by state, aspiring agents must complete a designated amount of classroom instruction and pass a licensing exam. A Realtor is anyone who belongs to the National Association of Realtors (NAR). This group can include appraisers, brokers, property managers, and other professionals, in addition to real estate agents. Realtors must be licensed, in good standing, and agree to abide by the NAR’s Code of Ethics. Both agents and brokers complete classroom instruction and pass a licensing exam to help consumers buy or sell real estate. Brokers must complete additional education and pay additional licensing fees to operate. Most real estate agents work under the supervision of a broker. Some states require all real estate salespeople to complete broker-level license requirements. What’s the difference between a home inspection and appraisal? An appraisal is required by (and for the benefit of) a mortgage lender. It aims to provide an estimate of a property’s market value, which will then be compared against the asking price to determine the loan amount. If the appraised value is drastically less than the asking price, the lender may refuse to lend the full amount, even if the buyer is willing to pay. A home inspection is a more thorough examination for the buyer’s benefit. Its purpose is to identify possible concerns about the condition of the property. If major issues surface during the inspection, the buyer can exercise the inspection contingency to exit the deal or negotiate repairs or a price reduction (unless he or she waived it in the offer letter). Earnest money is a sort of collateral that compensates the seller if the deal falls through — but is applied toward your down payment if you successfully close. Earnest money is usually refundable if you back out of a deal due to a failed contingency, such as inability to secure financing. In real estate terms, “comps” refer to “comparable sales,” which are homes similar (in size, location, features, etc.) to the type of home you’re interested in buying. Your real estate agent can pull information on comps to help you estimate what you’ll pay for a home in a given area. Comps that are pending sale or have recently sold are especially valuable because they provide the most accurate, most current pricing estimate. Do I have to make a down payment of 20 percent or more? Short answer: No. Long answer: Though down payment requirements vary by mortgage type, most home loans allow for down payments of less than 20 percent. (Some, like VA, USDA, or FHA loans, allow for down payments as low as zero to three percent.) This can enable first-time buyers to get into a home sooner. The tradeoff is, putting down less than 20 percent on a conventional mortgage typically means you’ll need to purchase PMI, which will increase your monthly payment. What is PMI — and can I remove it? Private mortgage insurance, or PMI, is an additional insurance premium that many lenders require for buyers who make a down payment less than 20 percent. PMI helps the lender recoup costs if the borrower defaults, or stops paying. With most conventional loans, you can request cancellation of PMI once you’ve paid down your mortgage balance to at least 80 percent of your home’s appraised value (meaning you have 20 percent equity). Note: This is not the case with all loans. USDA and FHA loans, for example, can require buyers to carry PMI for the life of the loan. A conventional mortgage is a home loan that isn’t backed by the federal government. Conventional mortgages tend to require larger down payments, entail more out-of-pocket closing costs, and have stricter approval standards than government-backed mortgages through the FHA, USDA, and VA.
Do I have to have my own agent? Nope — you aren’t required to work with a buyer’s agent; the listing agent (aka the seller’s agent) can legally assist both the buyer and the seller. However, there are many advantages to working with an agent that solely represents your interests.